On Tuesday July 17, 2018, we lost a dear friend, tireless mentor and world-renowned aviator. Ralph Knight was killed in a tragic accident in the Miami-Dade area of South Florida at the age of 72. A sudden collision between two aircraft resulted in the death of all four pilots. Though we believe his death to be instantaneous, a wave of pain and sorrow has quickly spread across loved ones. Born in 1945, Ralph always had an interest in piloting his own aircraft from a very young age. At 21 years old he achieved his first certification as a Private pilot, before quickly rising up the ranks from CFI to ATP to Chief Flight instructor and FAA Designated Examiner. After settling down in his forever home in Lantana, Florida, Ralph started a family and continued his career flying many types of aircraft in various roles; such as Corporate pilot for Air Bear, Perry Oceanographics, Norman Aviation, Victory Aviation, Air Margaritaville, Tudor Investments amongst many others. He also owned and operated his own business Knight Air Inc. at Lantana Airport and many other business ventures. 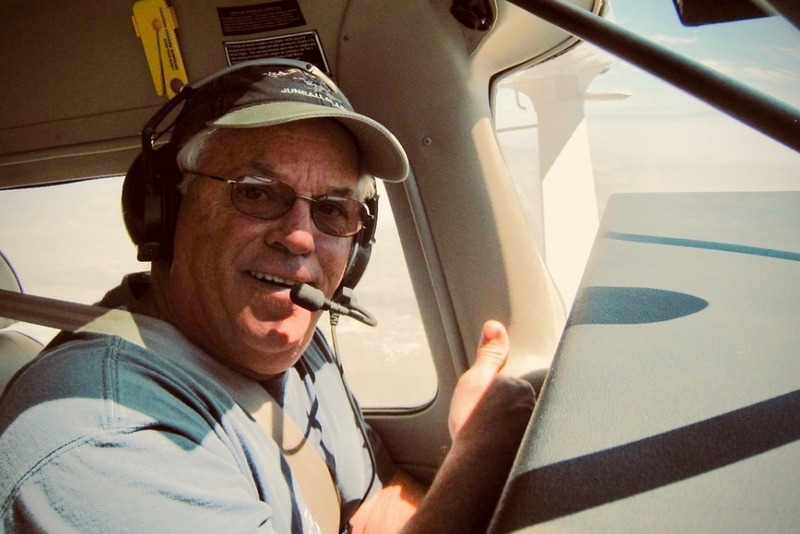 Ralph has acquired over 50 years of flying experience and a range of ratings and licenses ATP - ASES, ASEL, AMEL, AMES, CFI, CFII, MEI, DPE, Aircraft type ratings, Falcon, Gulfstream, Cessna, DC-3, Lear-Jet. He is survived by his wife Monica Knight, son and pilot, Bill Knight (wife Deidre and two daughters Olivia and Julia) son and pilot, Andy Knight (three children Alexandra, Luke and Samuel) as well as sister Rilla, brothers Jay and Rich, extended family, and many friends. Ralph was an inspiration to everyone he taught. Rather than flowers and cards, we invite you to donate towards this fund which will carry on his legacy and his love of teaching. All money donated will be going towards a future foundation established in his name to support young pilots as they study aviation. Now, when you look up at the clouds on a clear day, simply smile at the thought of Ralph soaring high and mighty alongside a crew of angels. After his short flight from KTMB to HEAVEN, Ralph will remain forever in our hearts. This would be a sincere way to pass on the warmth, friendship and knowledge that he has bestowed upon us all. Thank you for taking the time to reflect on Ralph’s journey. We truly appreciate any help you can provide at this time.